It’s history in the making: The Tragically Hip will be performing a once-in-a-lifetime concert in Kingston on August 20 to a sold out crowd at the K-Rock Centre. Didn’t get tickets? Neither did we – it literally sold out in seconds. But fear not – the show (which starts at 8:30pm ET) will be broadcast and streamed (commercial free!) 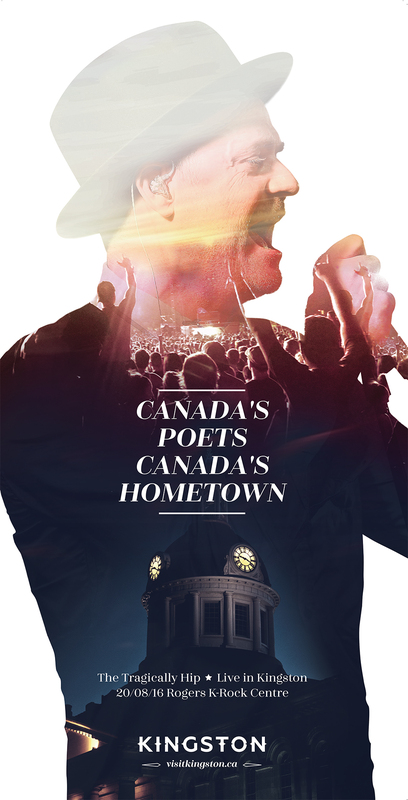 on CBC Television, CBC Radio One, CBC Radio 2, cbcmusic.ca and CBC’s YouTube channels, and there are plenty of places in Kingston where you can experience this once-in-a-lifetime event. 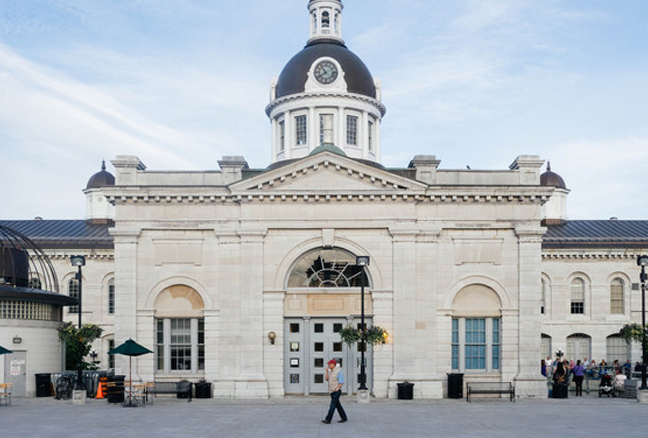 Kingston is celebrating The Tragically Hip’s final show with a live-stream concert in Springer Market Square. In partnership with the Downtown Kingston BIA!, Kingston Accommodation Partners and Kingston Police, the event will feature concert-quality audio visuals and screening designing to expand the capacity of the Square into surrounding streets. Fun fact: August 20 will officially be proclaimed ‘The Tragically Hip Day’. Photo from Kingston Brewing Company’s Facebook page. 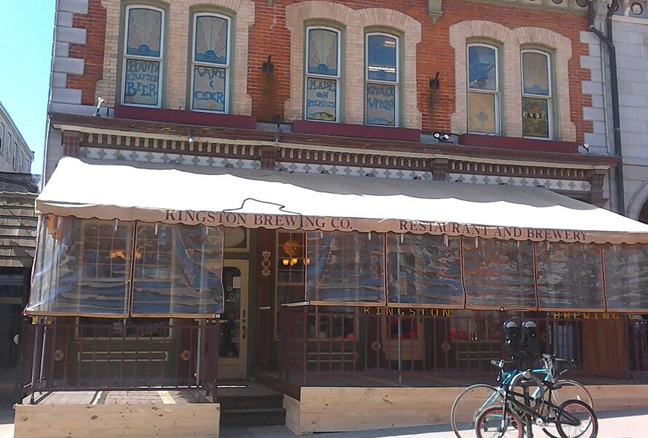 The Kingston Brewing Company is Ontario’s oldest brew pub, established in 1986, and is Canada’s oldest wine-producing pub. Beers, wines, ciders and soda pops are made on the premises and are the perfect accompaniment to Gord’s singing. Food is pub standard, but with unique twists and beer used in many of the recipes. Show up early to grab a seat on the courtyard or street-front patios – they’re guaranteed to fill up fast. Photo from The Iron Duke’s Facebook page. The Iron Duke on Wellington in downtown Kingston is a great spot to catch the concert while enjoying delicious, fresh, local food in a friendly, welcoming environment. While you’re waiting for the show to start, enjoy one of their creative dinner specials or bask in the deliciousness of their Lager & Cheese Fondue, or Chicken Wings with Herb & Bacon Salt. There’s a reason The Iron Duke is known in Kingston as The Food Lover’s Pub. Photo from Tir Nan Og’s Facebook page. Local favourite Tir Nan Og will be streaming The Tragically Hip Concert live, and you’ll want to arrive there early to guarantee a spot. Dubbed ‘a place for everyone’, Tir Nan Og is a homey, old-fashioned Irish bar with cocktails, brews and elevated pub grub. Weekends feature live music and you’ll want to make your way back on Thursdays for their jam-packed karaoke nights. Photo from The Merchant Tap House’s Facebook page. 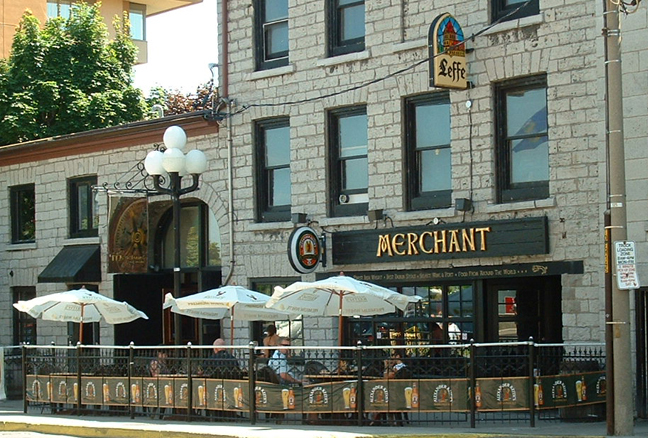 Another local favourite is The Merchant, located right smack downtown (stumbling distance to Market Square!) on the waterfront, and set in a historic building that dates back to 1836. While you’re there, take your pick of over 25 draught beers, a creative menu boasting pub favourites and classic specialities (like their Merchant’s Fish + Chips or 40 Creek Whiskey Burger). Their huge 150-person capacity patio overlooking the lake is the perfect spot to hear ‘Bobcaygeon’. Photo from The Toucan’s Facebook page. Located just along Princess Street is another viable option for catching the concert of your lifetime – The Toucan, Kingston’s local pub since 1986. 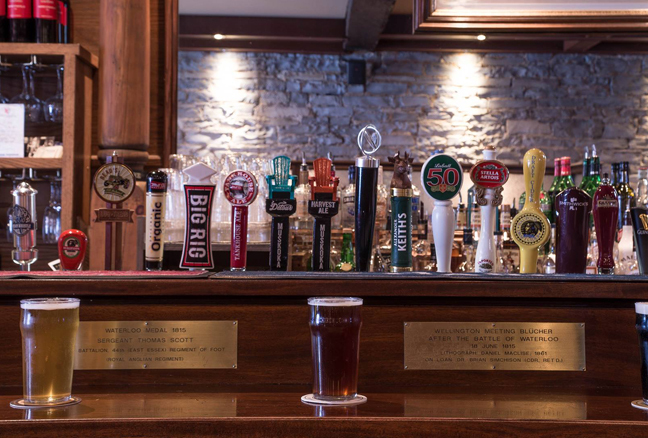 This classic Irish pub with beautiful stone walls is always a great choice for trying out different draught beers or enjoying some standard pub fare – make your way over early on August 20th to secure your spot to see The Hip. 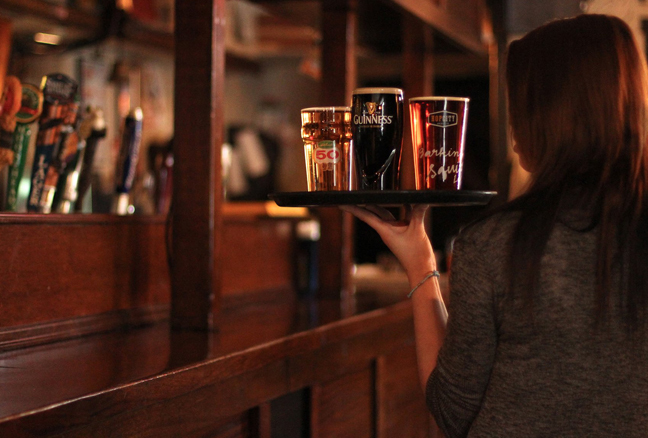 Photo from The Rose and Crown’s official website. 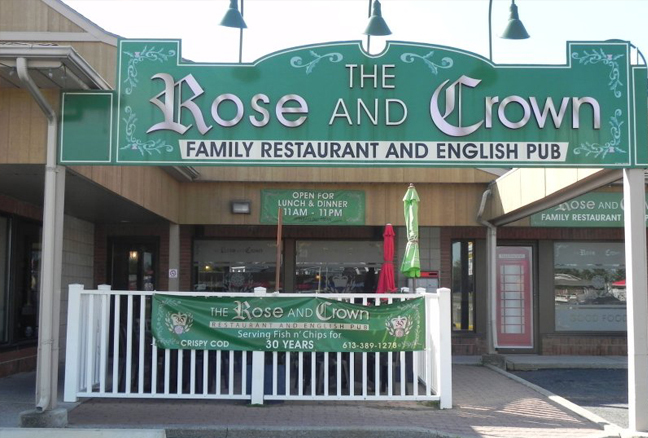 Last, but certainly not least is The Rose + Crown in the city’s West End – a traditional English pub known for their fish and chips. 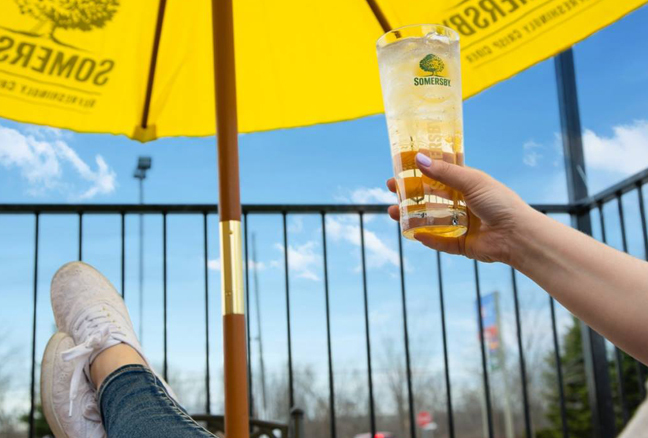 Enjoy the concert from their cozy patio while enjoying some imported favourites like Harp, Guinness or Stella, or indulge in some treats like their famous homemade rice pudding. 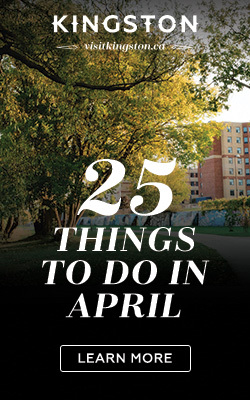 Wherever you find yourself in Kingston – enjoy the show!